The Carolina Mountain Club, now 90 years old and the oldest Hiking and Trail Maintaining Club in Western N.C., fosters the enjoyment of the mountains of Western North Carolina and adjoining regions. 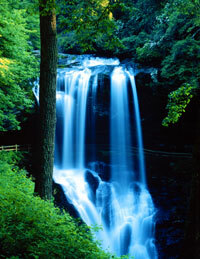 work with the U. S. Forest Service, the National Park Service, and the State of North Carolina to achieve these goals. You can contact us through the website by using the Contact Us page. You can also mail us at: P.O .Box 68, Asheville, NC 28802.